Fun part of insect photography is getting bitten by them. 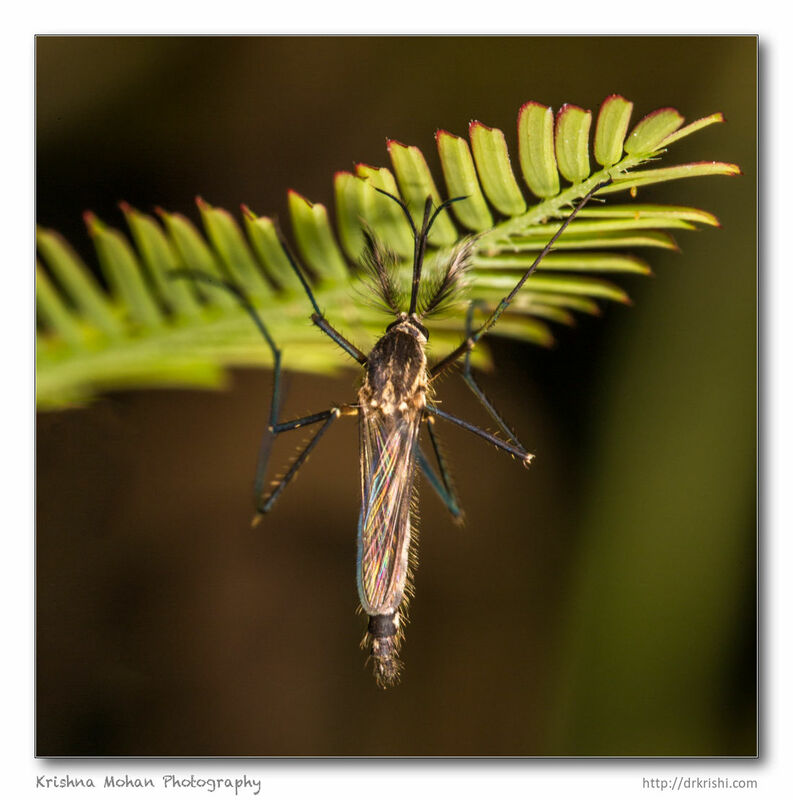 Macro photography consumes both considerable amount of time as well as considerable quantity of blood which are donated to these insects. 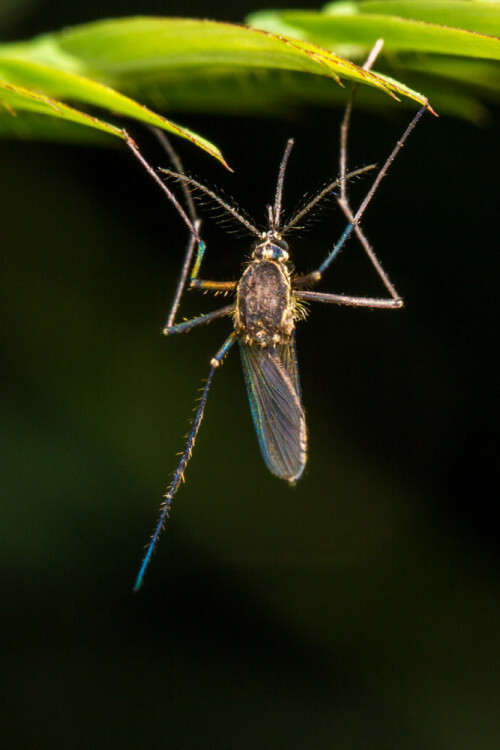 Mosquitos rank number one blood suckers in that list. 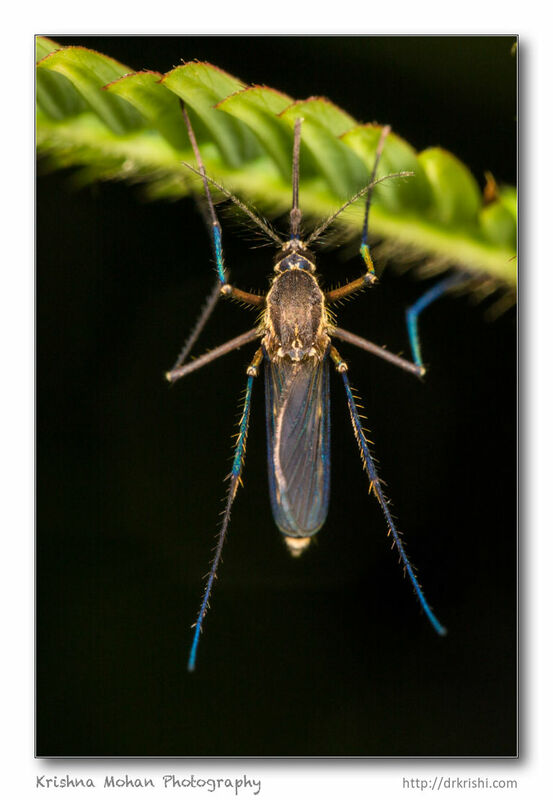 You will find bunch of these Culex mosquitoes in your garden roosting on the green leaves in large numbers before they come inside the house for their night duty to feed on you. 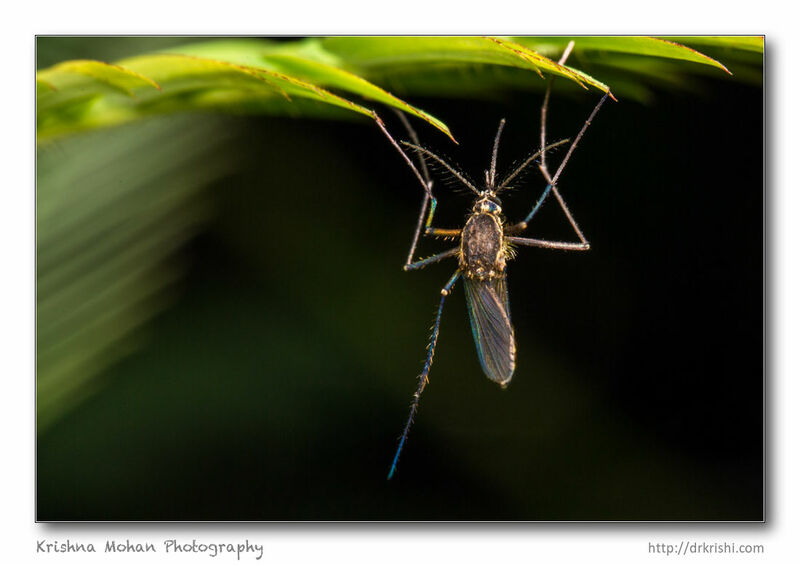 To photograph these mosquitoes I used Canon EOS 5D Mark III with Canon EF 100mm f/2.8L Macro IS USM fitted with 68mm Kenko extension tube set. This gave me nearly 2:1 magnification. It also cuts down nearly 2 stops of light. 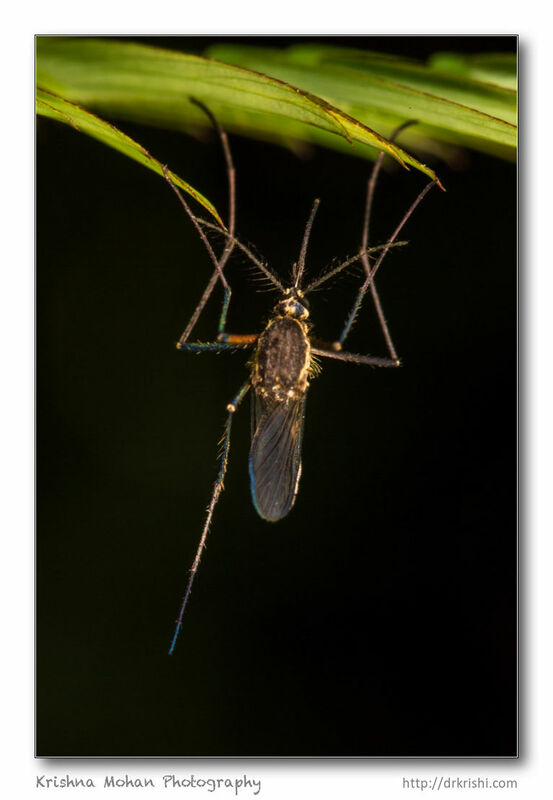 So I used Canon MT-24EX macro twin light flash to light these mosquitoes. 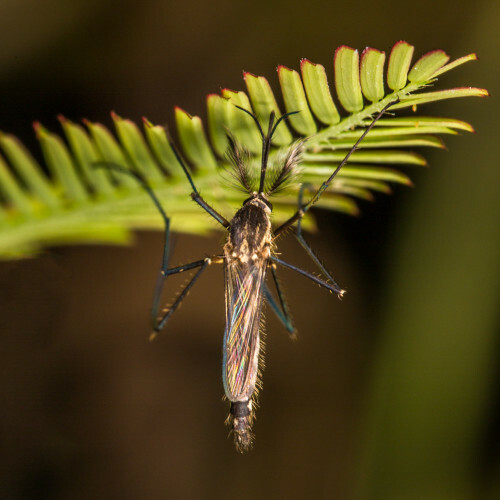 The southern house mosquito can transmit zoonotic diseases that affect humans and wild and domestic animals, such as lymphatic filariasis, avian malaria, St. Louis encephalitis, Western equine encephalitis, and West Nile fever. 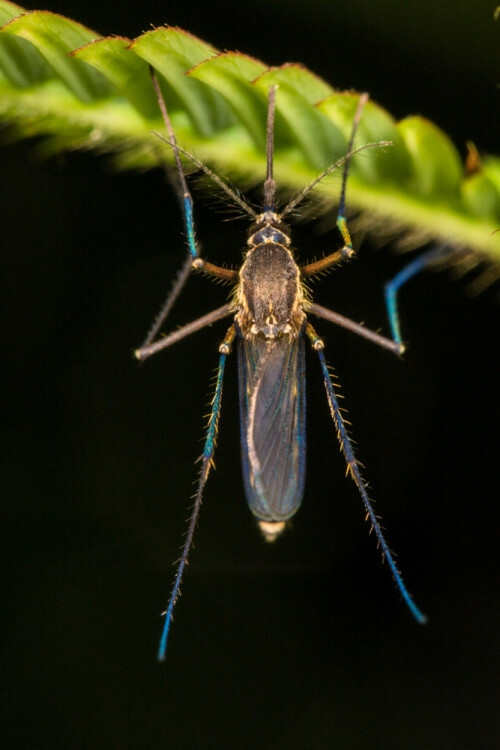 It causes infection through biting during blood meal. 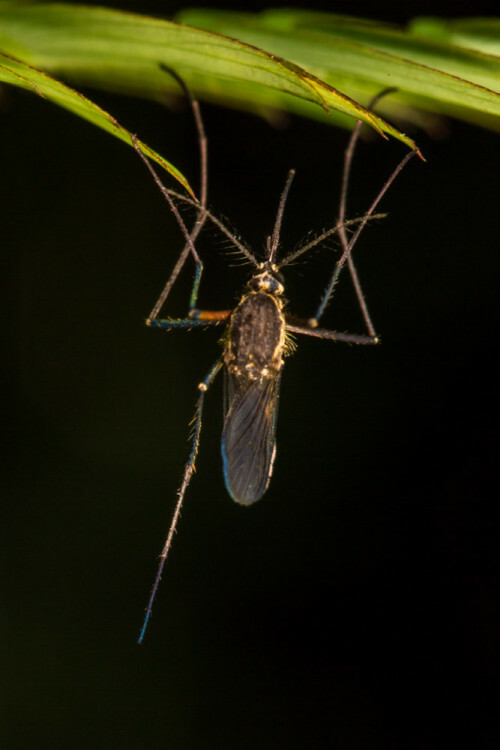 In India and Southeast Asia, it is the primary vector of Wuchereria bancrofti, a nematode that causes lymphatic filariasis. It acts as an intermediate host for the helminth parasite by harbouring the larval stages. 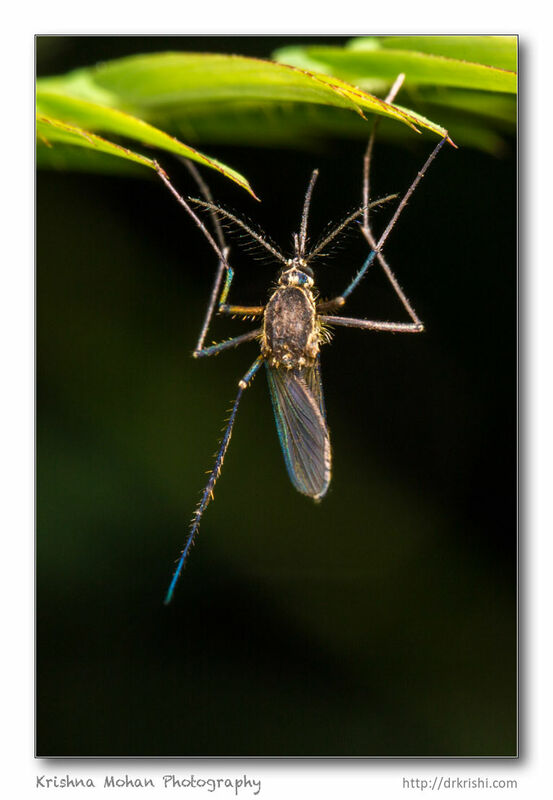 It also transmits Plasmodium relictum, a malarial parasite of birds, and is the principal vector in Hawaii. 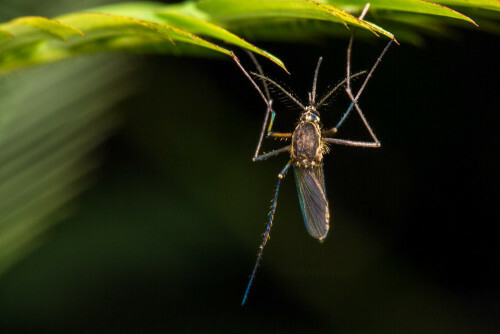 It is the definitive host for malarial parasite as it harbours the sexual cycle.